Yellow and with a curly antenna, Laa-Laa is the one most recognized for looking out for the other Teletubbies. Is your child quick to defend her buddies? 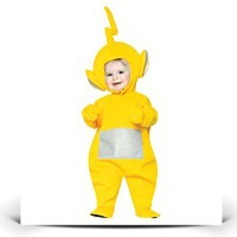 Well, dress your child up in this Laa Laa Teletubbies costume and group her up with her friends as the rest with every of the gang!